Correction: An earlier version of this article incorrectly named the Industrial Workers of the World, the International Workers of the World. 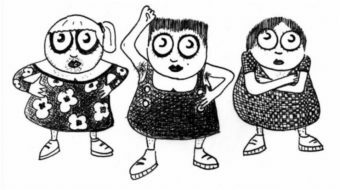 The version below reflects the correction. Eugene Victor Debs (1855-1926), one of America’s most famous socialists, was an important political figure on the American political landscape in the early 20th century. He ran as the Socialist Party’s (SP) presidential candidate five times and obtained nearly a million votes in 1912 and 1920. 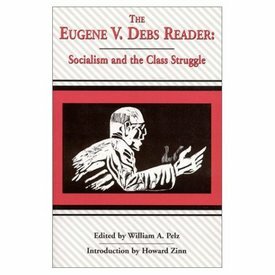 “The Eugene V. Debs Reader: Socialism and the class struggle,” is a fascinating collection of writings, letters and speeches by Debs on a range of social and political topics, many of which have been out of print for many years. Debs, who started out as a railroad worker, was an elegant and fiery writer and orator, making this literature a pleasure to read. Throughout the book, Debs rails against the injustices of capitalism, arguing for a socialist system based on political and industrial democracy. He defends workers and trade unions that are being assaulted by employers while advocating the formation of industrial unions and rejecting craft unions that only included skilled workers. Going against the grain at a time when Blacks faced segregation and hostility from whites, Debs in several speeches and articles makes it clear that class and not skin color was the only important factor. “Foolish and vain is the working man who makes the color of his skin the stepping stone to his imaginary superiority,” laments Debs, commenting on widespread prejudice against African Americans. In a speech during an SP meeting in New York in 1923, he invites Black men and women to join the party. 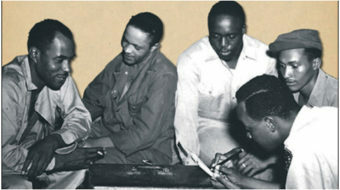 There are several moving accounts of his time as a political prisoner, including one in which Debs relates how African American prisoners asked Debs to help them end the practice by prison authorities and white prisoners of giving Black prisoners the worst seats during film showings. Debs led a protest campaign that eliminated this injustice. The writings in the “Eugene V. Debs Reader” also give one a glimpse of the internal debates and conflicts within the SP and broader left during that period. Debs had a great appreciation for free-wheeling discussion and a disdain for dogmatism and censorship. In “Sound Socialist Tactics” he opposes the SP leadership’s attempts to limit debate. In “A Plea for Solidarity” Debs believed that the anarchist-led Industrial Workers of the World (for whom he had great respect) and their campaign of direct action and industrial sabotage alienated workers. The book is also biographical in the sense that the speeches and articles paint a broader canvass of Debs’ life. He writes that it was during his first time in jail, in 1894 for leading a strike of railroad workers that he was led to become a socialist. While in Woodstock prison for six months, Debs devoured books by Karl Marx, Karl Kautsky and other European socialist writers.